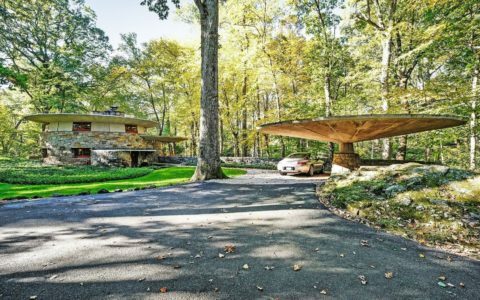 It was during the first decade of a new century that a young architect named Frank Lloyd Wright harboured a vision of a new American building that would dispense with historical references and exploit new technologies and plans. 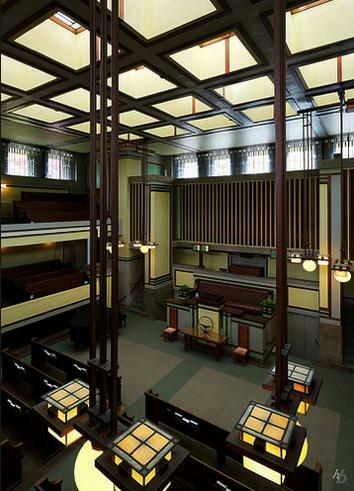 Frank Lloyd Wright’s architecture was influenced in part by his personal beliefs as a member of the local Unitarian congregation. 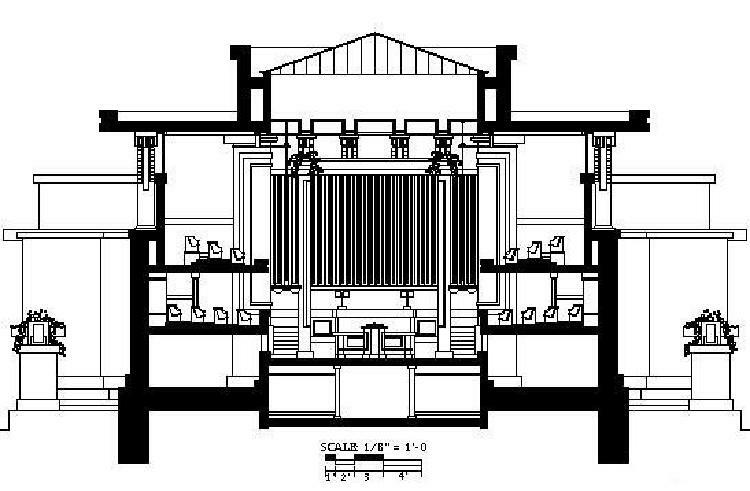 In 1906 he was asked by his minister to submit a plan for a new church building the one that became Frank Lloyd Wright’s Unity Temple in Chicago. 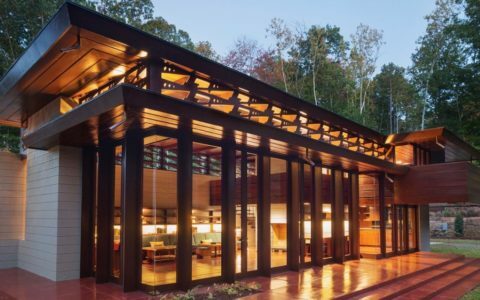 The importance of this building for the development of early modern architecture, particularly American architecture, cannot be under estimated. It was seen, even by Wright, at the time as one of the most important works. 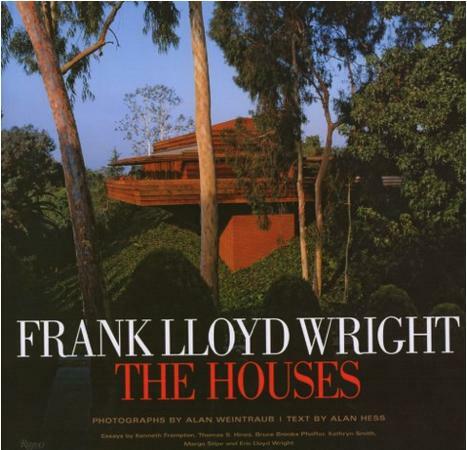 Therefor one has to acknowledge the fact that it is not only one of Wright’s most important buildings, but one of the most important in the United States, certainly for the first part of the twentieth century. 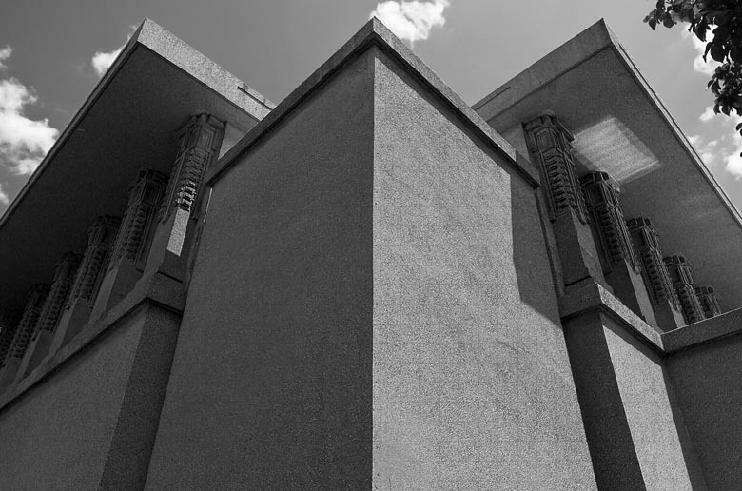 It has to do with going beyond one’s self in seeing the significance of a building like this and the contribution to the collective cultural contribution. 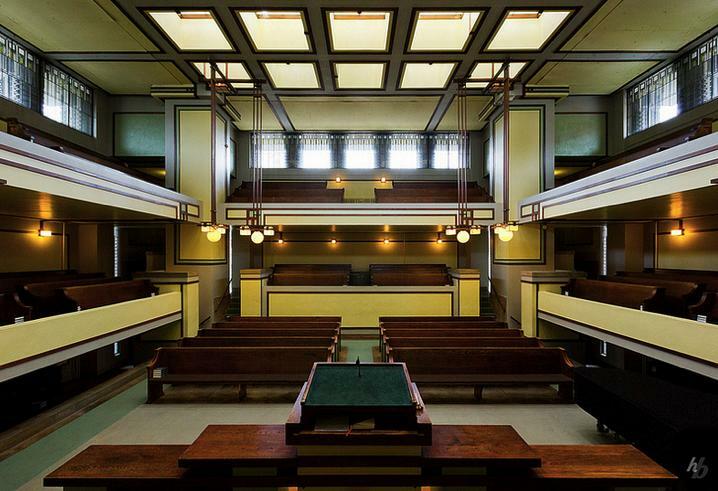 Frank Lloyd Wright’s Unity Temple speaks not only to its congregation, not just to the people of Chicago but indeed to the world. 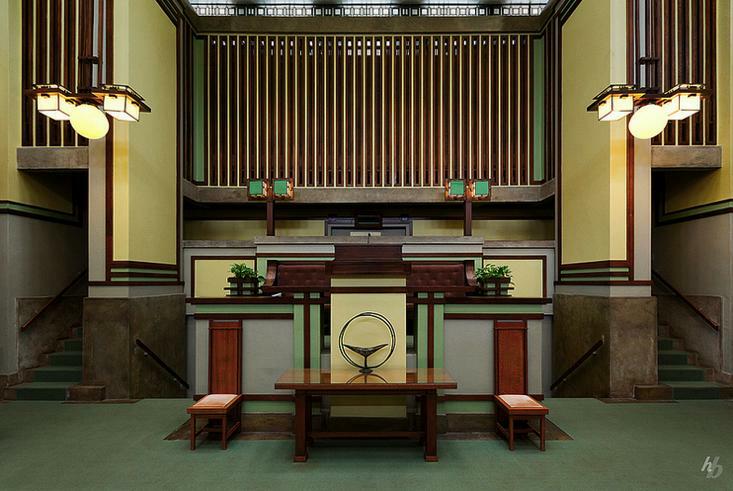 Despite the exposed concrete structure, the inside of the Unity Temple is warm and beautiful. This doesn’t come from ornament, which is restrained, but from proportions and light. 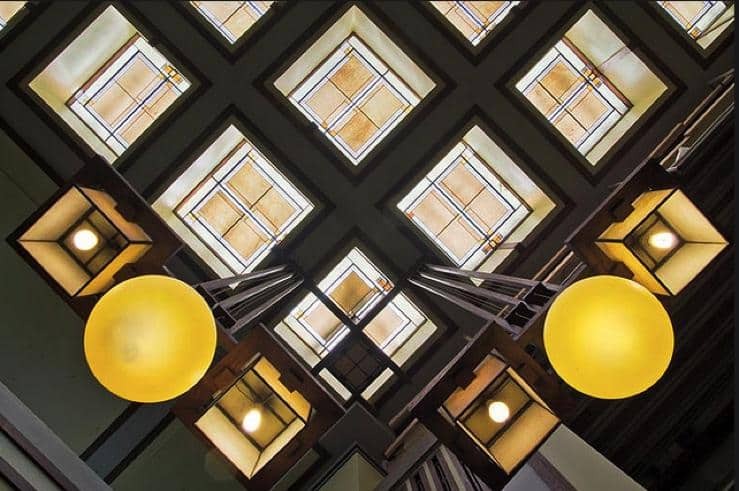 The proportions of the interior derive from a carefully worked-out series of squares, cubes and double cubes, creating a sense of balance and order. 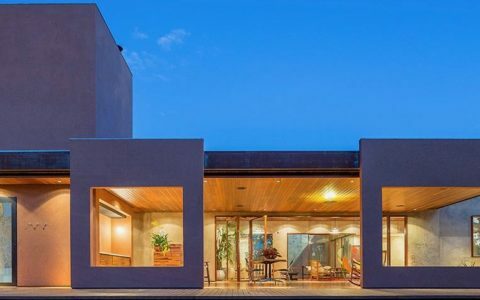 The light comes mainly from above – from a grid of square skylights and strips of high clerestory windows. 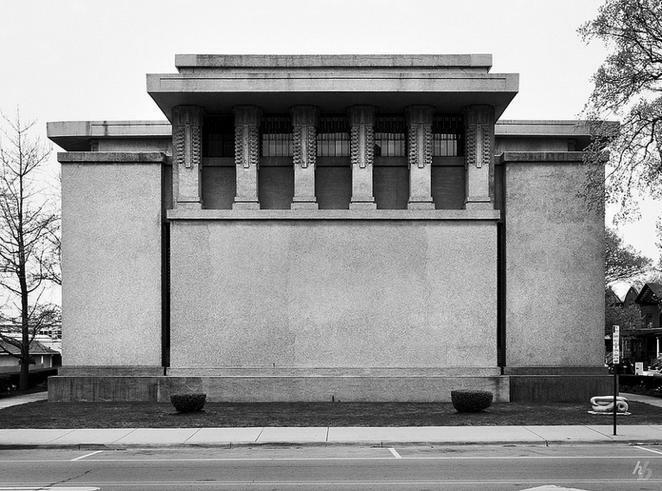 Frank Lloyd Wright’s Unity Temple is also a historic building in the sense that it is recognized by most people as the first application of reinforced concrete as both a structural and architectural element. 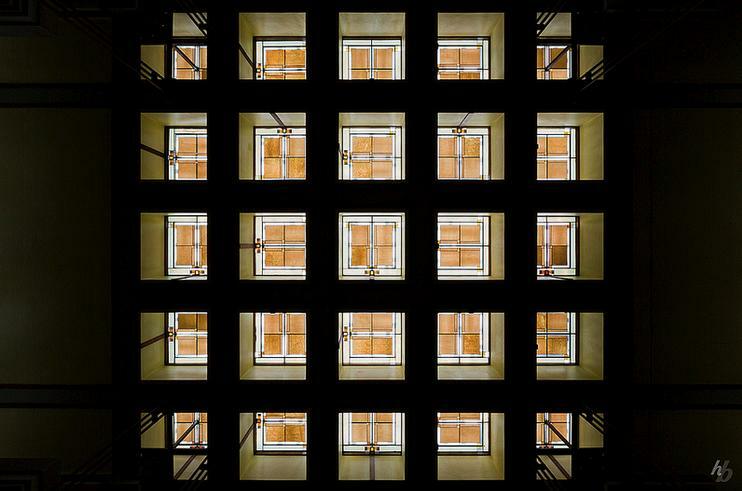 When you are inside Frank Lloyd Wright’s Unity Temple your vision goes to the infinity in every direction. 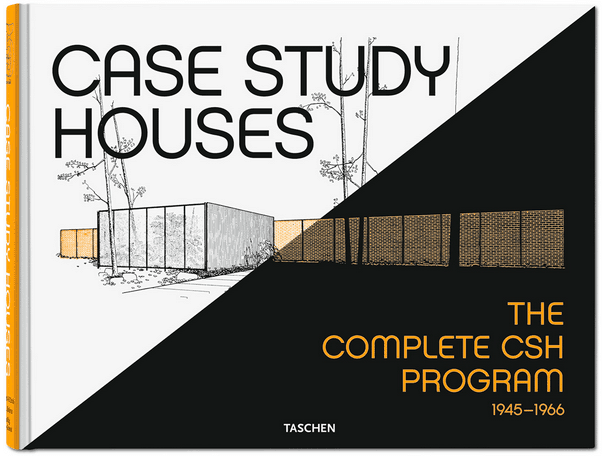 There is no sense of containment only a sense of space protected by the exterior by features and no walls. The higher seating is over a flat overhead extension and you look outside through the side windows. The worship space covers four stories high but no one is further than 40 feet from the pulpit. 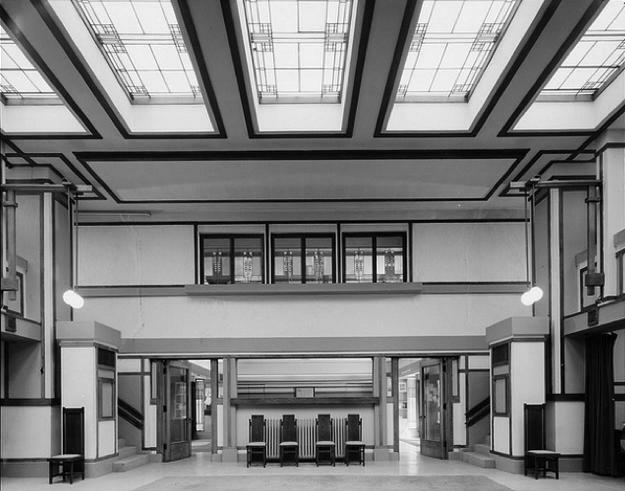 The building receives natural light through clerestories along the upper walls and a series of square stained glass skylights that puncture through the ceiling.